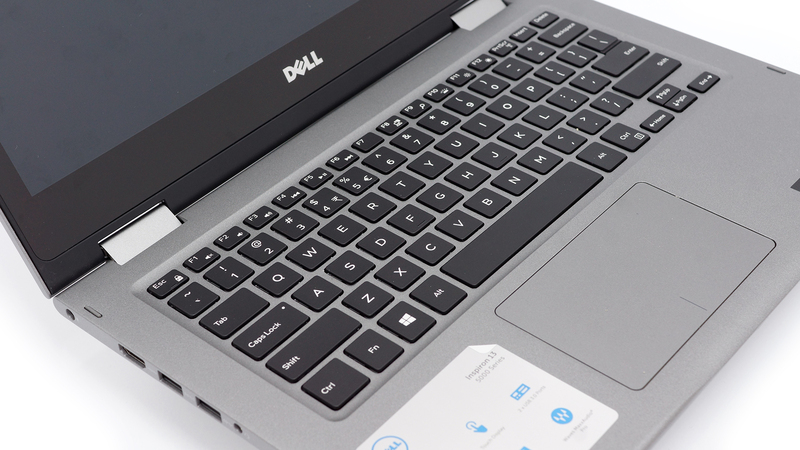 Among all the convertibles on the market, Dell is one of the first to equip its mainstream Inspiron lineup with Intel’s latest 8th Generation CPUs. But is this enough to compete with Lenovo’s already reigning Yoga series in this segment? Well in some cases, yes, but in other not exactly. 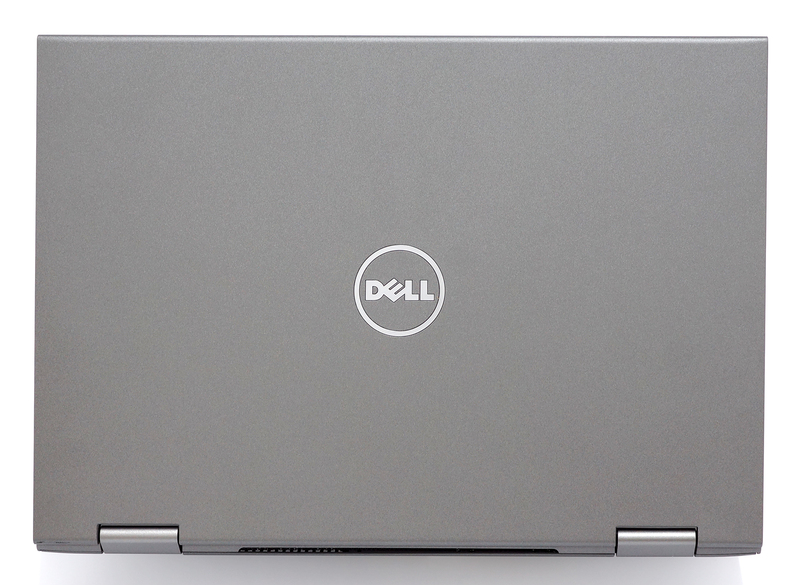 Dell’s 13-inch Inspiron 13 5379 comes with an already familiar all-plastic shell – identical design to the Inspiron 15 5579 – but since its smaller than its sibling, it’s definitely more portable. Ranging from Core i5-8250U to Core i7-8550U, all configurations seem to be in the same ballpark as Lenovo’s Yoga 720 when it comes to pricing. However, Lenovo Yoga 720’s updated variant with Intel’s 8th Generation of processors is a bit more expensive. 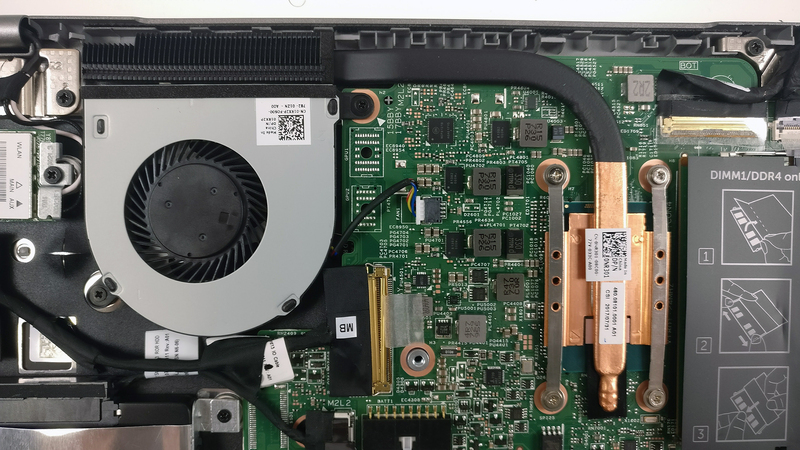 In any case, we will look more closely into the Inspiron 13 5379 and examine how well the laptop handles the powerful Core i7-8550U and its wide Turbo Boost range, how the screen fares against its 13-inch competitors and is the 42Wh battery enough to deliver good battery runtimes. We know that many of you don’t have enough time to read our in-depth tests so we made a 2-minute recap of the most important things. Enjoy! 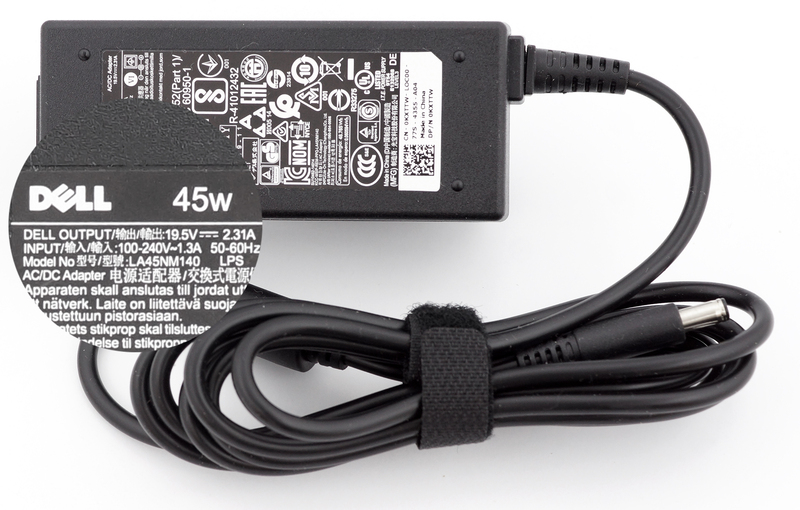 The laptop comes in a standard small box containing all the usual user manuals, AC adapter and power cord. Unfortunately, the price puts the Inspiron 13 5379 in the same category as the Yoga 720, which not only looks better – although this is a bit of a subjective matter – mainly due to the thinner bezels, rounded edges and slimmer design but it also feels more firm due to the all-aluminum construction. 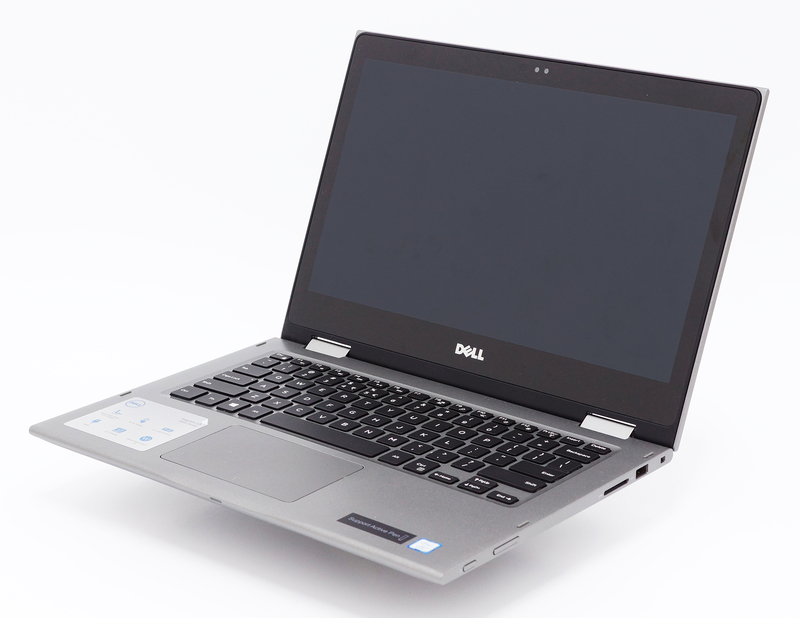 Interestingly, the Inspiron 13 5379 drags behind its competitor in terms of portability as well – 1.6 kg in weight and 19.5 mm in height despite the plastic clamshell. 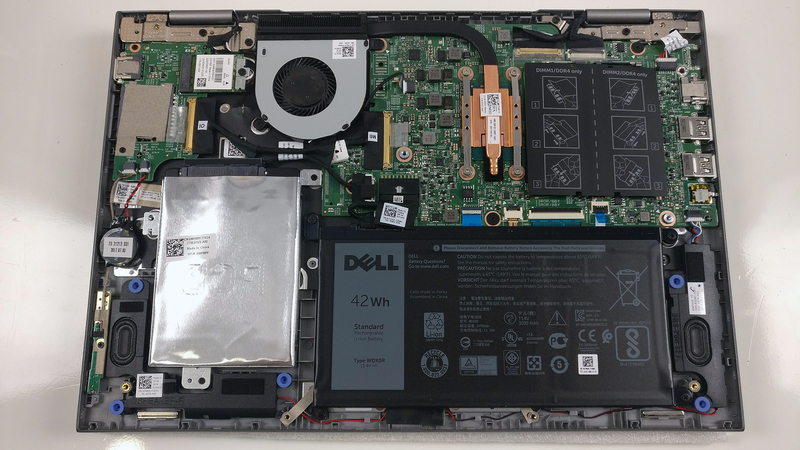 We observed the same weak points as in the 15-inch Inspiron 15 5579, which makes sense since both notebooks share the same chassis only in different dimensions. The back of the lid is a bit bouncy and the whole screen feels flexible during our twisting attempts. Something we didn’t observe with laptops in this price category. 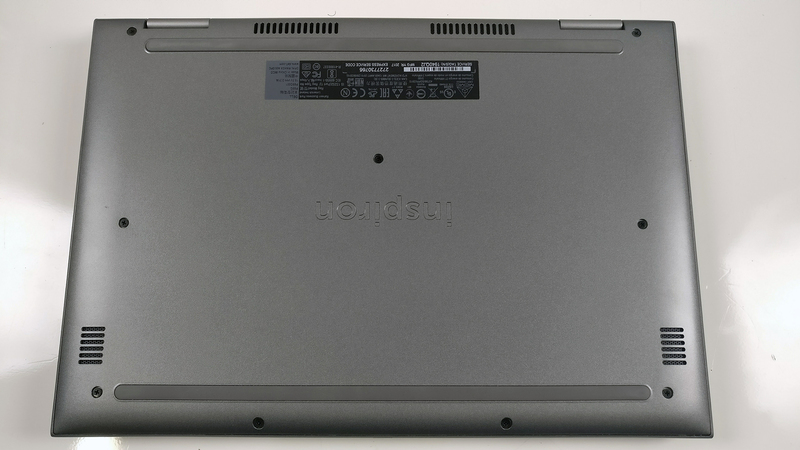 The hinges still feel a bit stiff when opening the device but since the screen is smaller, the wobbling effect is notably reduced compared to the 15-inch model. And as for the bottom, it features the same plastic plate providing a solid feel and some small grills for heat management. Interestingly, the sides provide the same I/O as the bigger 15-inch variant – on the left you will find a full-sized HDMI port, two USB 3.0 connectors and a 3.5 mm audio jack while on the right, you will see the SD card reader and another USB 2.0 port. The only thing missing here is a USB-C connector, which we are used to seeing in considerably less expensive devices. At least another USB-A connector would have been greatly appreciated. The interior continues the “plastic trend”, yet it feels pretty robust – virtually no bending occurs when pressing the interior. 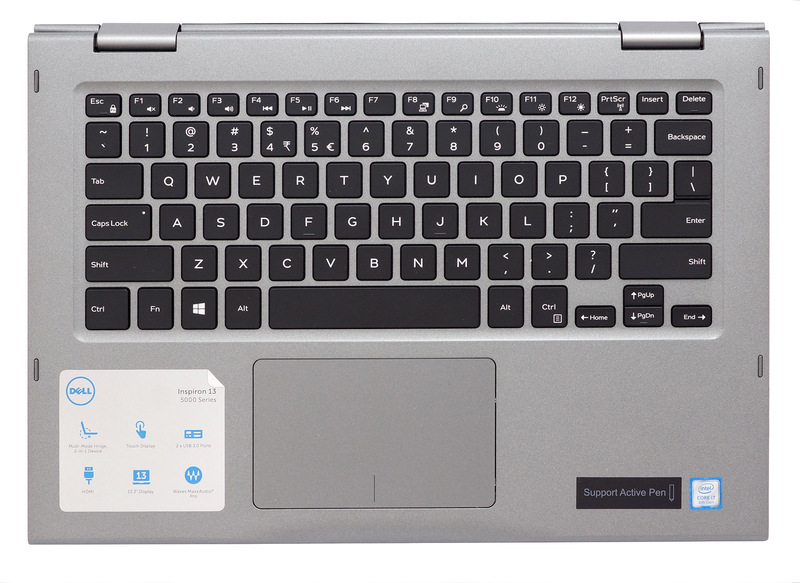 But the inherited good features from the 15-inch model don’t stop there – the device offers a good keyboard with a tad short key travel but clicky feedback. The touchpad also feels nice – light mouse clicks, responsive surface, although the slightly roughened surface gets in the way of gliding. 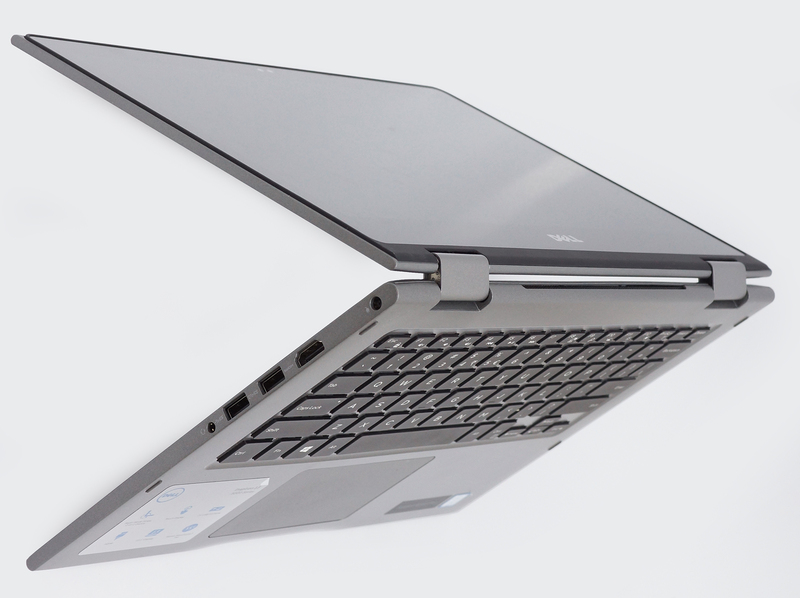 Our verdict of the overall design and build quality is practically the same as the one we gave on the 15-inch model – the lack of aluminum isn’t an issue here but the lack of rigidity in the lid and the awkwardly sharp corners that make the notebook hard to hold in tablet mode, definitely are. Also, the relatively limited I/O and slightly higher weight and the outdated design (thick screen bezels, less refined edges) don’t make a compelling case considering the price point either. Just like the 15-inch model, this one requires little effort to access the internals. Just remove the screws on the bottom and gently pry it up. 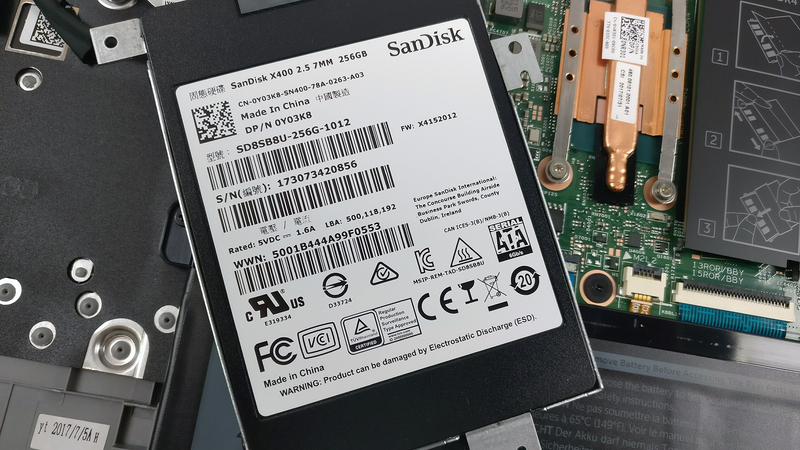 Once again, the notebook still doesn’t have an M.2 SSD slot so you have to rely only on the 2.5-inch HDD/SSD bay for your primary and only drive. The unit we got arrived with 256GB SanDisk X400 SATA SSD. 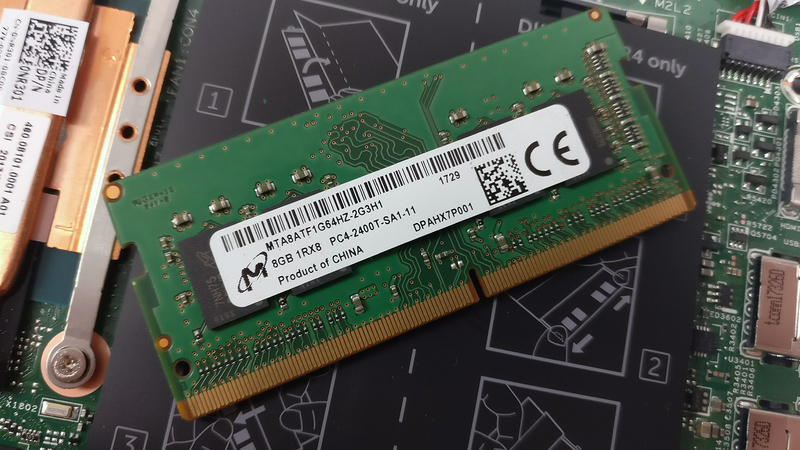 At least RAM upgradability isn’t crippled as the motherboard supports two memory slots each going up to 16GB of DDR4-2400 RAM. 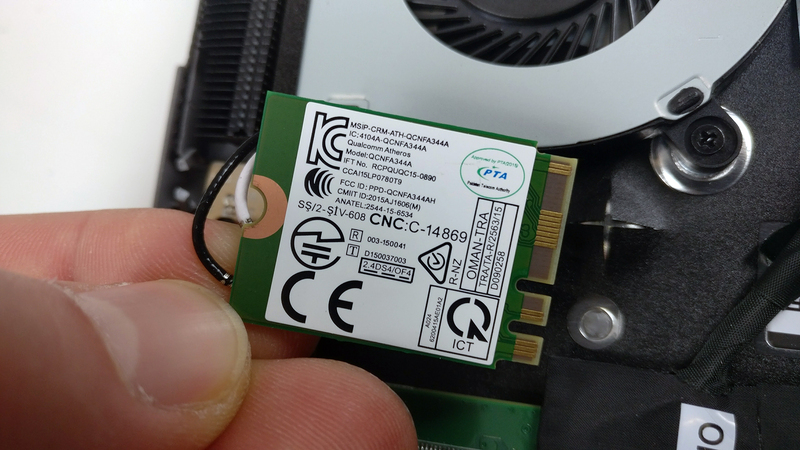 The Wi-Fi adapter is placed right next to the cooling fan and it’s Qualcomm QCNFA344A. Interestingly, the battery is the same we found in the 15-inch model and it’s rated at 42Wh. The cooling design hasn’t been changed since the last generation and consists of the same small cooling fan with one heatpipe. The device features a Full HD (1920×1080) IPS panel with model number BOE06FD (R0VG9-NV133FH, which presumably is a BOE-made. The pixel density is 166 ppi while the pixel pitch is 0.153 x 0.153 mm – it can be considered as “Retina” from at least 53 cm. We were able to record only 238 cd/m2 peak brightness in the center and 232 cd/m2 as average across the surface with only 6% maximum deviation. The correlated color temperature at maximum brightness is 6530K and it’s nearly perfect. As we go along the grayscale, it becomes unnoticeably warmer – 6420K. You can see how these values change at 140 cd/m2 (60% brightness) on the image below. The maximum dE200 (color deviation) at 140 cd/m2 compared to the center of the screen is just 1.8. This is a rather good result since values above 4.0 are unwanted. 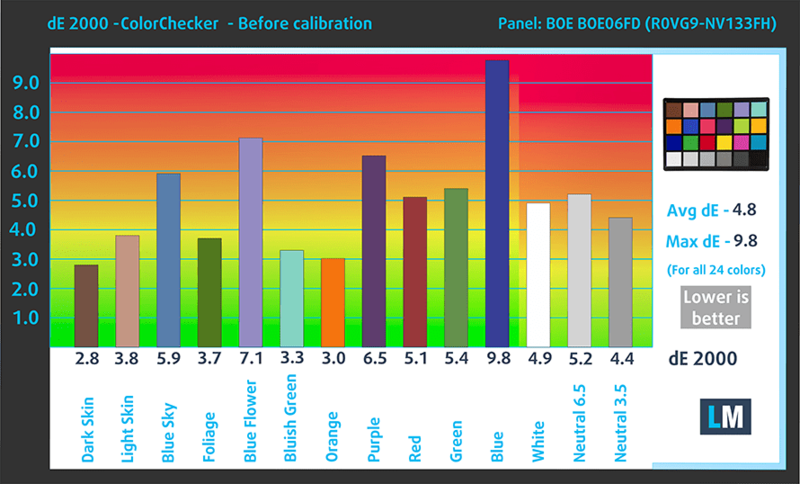 The contrast ratio is good – 1070:1 (950:1 after calibration). The panel covers just 52% of the sRGB color space making it rather suboptimal for multimedia. We recorded Fall Time + Rise Time = 34 ms.
We’ve recorded aggressive PWM from 0 to 99% brightness so we suggest using the notebook at 100% brightness or just use our Health-Guard profile that makes the brightness level more bearable and eliminates the PWM. Installing of our Health-Guard profile not only eliminates PWM but also reduces the harmful Blue Light emissions while keeping the colors of the screen perceptually accurate. If you’re not familiar with the Blue light, the TL;DR version is – emissions that negatively affect your eyes, skin and your whole body. You can find more information about that in our dedicated article on Blue Light. You can see the levels of emitted blue light on the spectral power distribution (SPD) graph. The only thing that this IPS panel excels at is the contrast ratio. All other properties suggest of a budget IPS panel that is usually found in less expensive solutions. The sRGB color space is limited, the maximum brightness isn’t enough for outdoor use (which might be problematic for some users since it’s a 13-inch convertible) and the aggressive PWM will put unnecessary strain on your eyes unless you use it at maximum brightness at all times or applying our Health-Guard profile. We used the pre-installed Windows 10 Pro for the writing of this review but if you wish to perform a clean install of the OS, we suggest downloading all of the latest drivers from Dell’s official support page. 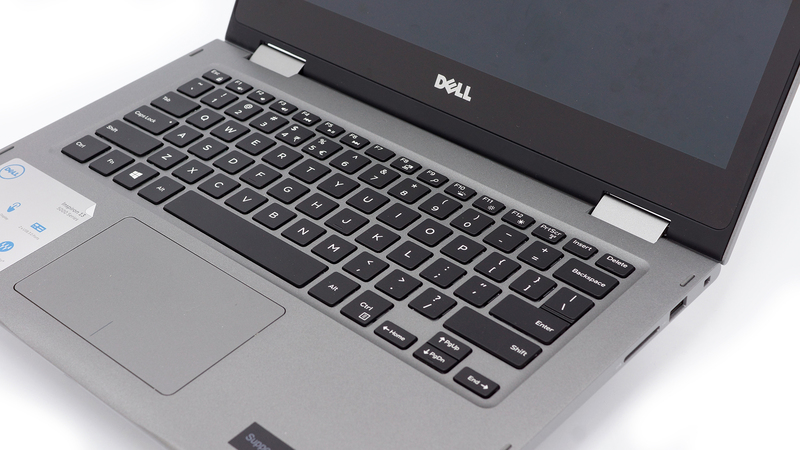 Battery life isn’t that impressive but thanks to the well-optimized Core i7-8550U CPU, the Inspiron 5379 still managed to get decent scores on our battery tests. Probably a bigger 42Wh unit will do the trick next time. 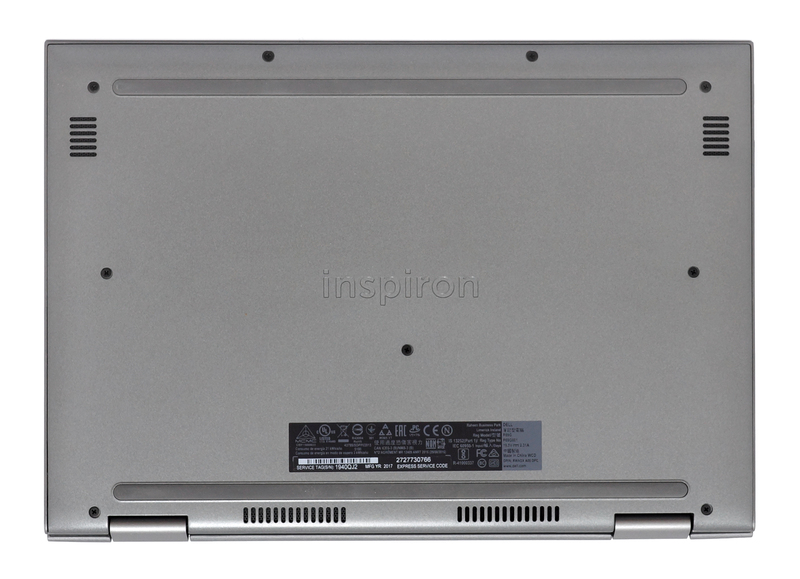 In addition, we see that the 13-inch Inspiron 5379’s battery scores are almost the same (if not slightly lower) as the ones from the 15-inch Inspiron 5579. All tests were run with the same settings as always – Wi-Fi turned on, screen brightness set to 120 cd/m2 and Windows battery saving feature turned on. Pretty average score on the web browsing test – 467 minutes (7 hours and 47 minutes). Considerably lower score on the video playback test – 362 minutes (6 hours and 2 minutes). We recently started using F1 2017’s built-in benchmark on loop in order to simulate real-life gaming. Of course, the laptop isn’t made for gaming, especially away from the power source but it’s good to know that it can run at least two hours away from the plug – 127 minutes (2 hours and 7 minutes). The Intel Core i7-8550U is part of the new 8th Generation Kaby Lake Refresh and it’s a direct successor to the Intel Core i7-7500U from the Kaby Lake generation and the Intel Core i7-6500U from the 6th Skylake generation. With the latest alteration to the ULV (ultra-low voltage) processors, Intel doubles the core count from 2 to 4 and retaining the so-called Hyper-Threading technology, keeping the same 14nm manufacturing process and feature the same 15W TDP. However, due to the core count change, the base frequency of the Core i7-8550U is lowered to only 1.8 GHz while Turbo Boost frequencies remain pretty high – somewhere between 3.7 – 4.0 GHz. 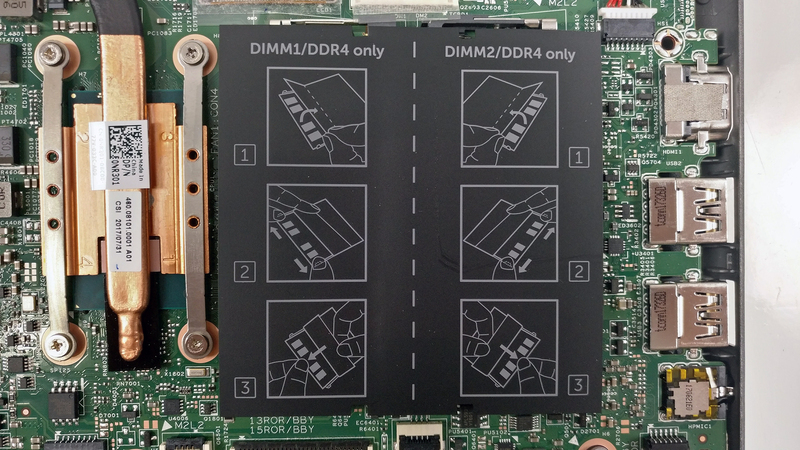 This ensures considerably higher multi-core and single-core performance during short workloads before going back to more bearable frequencies considering the 15W TDP but most of the other specs and features remain the same. The chip also incorporates a newer Intel Gen 9.5 integrated graphics called Intel UHD Graphics 620. The support for Google’s VP9 codec and H.265/HEVC Main 10 is still the most notable feature of the iGPU. Intel claims that the new UHD 620 chips improve the overall power consumption compared to the previous one. Here you can see an approximate comparison between the CPUs that can be found in the Dell Inspiron 13 5379 models on the market. 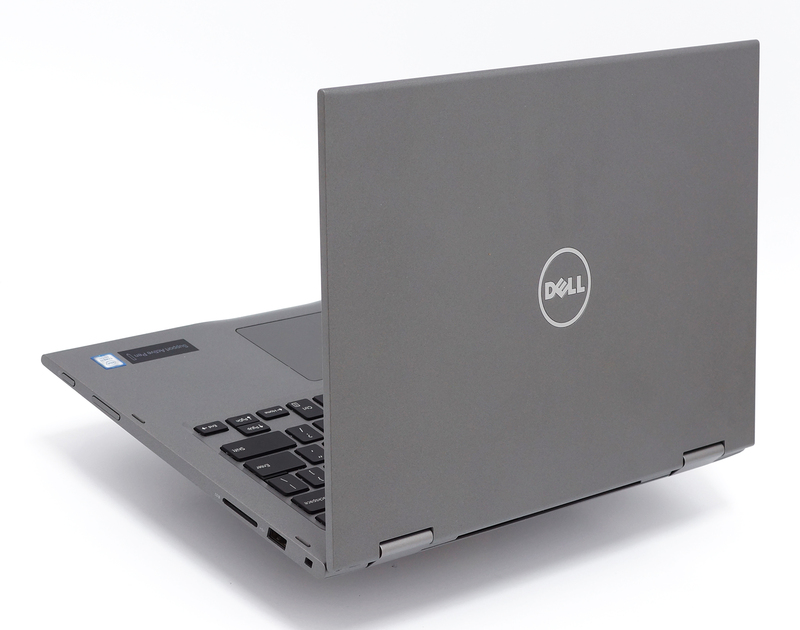 This way you can decide for yourself which Dell Inspiron 13 5379 model is the best bang for your buck. Fritz is a chess benchmark that tests the computing capabilities of the CPU with various chess moves. The Intel Core i7-8550U managed to get 12.192 million moves per second. For comparison, one of the most powerful computers, Deep(er) Blue, was able to squeeze out 200 million moves per second. In 1997 Deep(er) Blue even beat the famous Garry Kasparov with 3.5 to 2.5. Intel UHD Graphics 620 has roughly the same performance as HD Graphics 620, depending on the memory in the system. UHD Graphics 620’s performance is similar to AMD Radeon R5 M420X and NVIDIA GeForce 910M/920M. The torture tests, especially on this machine, cannot be taken as a representation of a real-life working scenario, yet it’s the best way to determine the overall effectiveness and reliability of the cooling system in the long run. The CPU stress test didn’t start all too well. The Core i7-8550U ran at around 3.3 – 3.5 GHz for a split second but swiftly settled between 2.2 and 2.4 GHz and stayed there for good. This shows poor Turbo Boost utilization of the chip and struggles to maintain a bit higher clock speeds for the desired time span. Working temperatures were a bit elevated as well. Switching the GPU stress test resulted in CPU throttling, which is normal because this way the CPU cores give some headroom for the iGPU (UHD Graphics 620) to perform. We also measured the temperatures on the surface – they all seemed normal given the nature of the stress test. But when talking about how the cooling design affects user experience, we would also like to mention that the fans were loud only during the small CPU peak frequency but after a few seconds, they were barely noticeable. 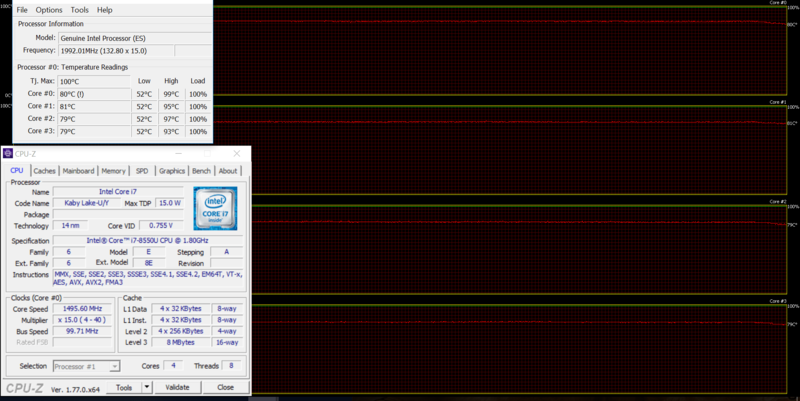 It seems that working at lower clocks, the six cores don’t need much cooling. If you are looking for a cheap 2-in-1 13.3-inch solution sporting the latest of what Intel can offer, the Inspiron 13 5379 should definitely be on your list, especially if there’s a decent discount like the one running now (at the time of writing this review). 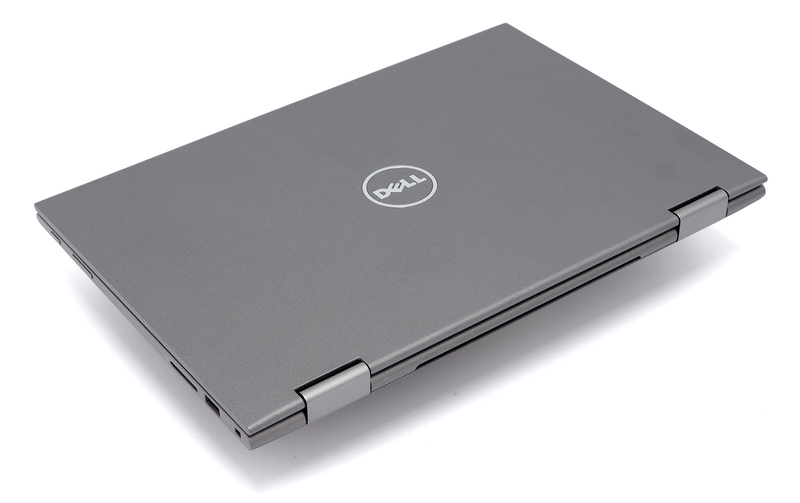 However, since the previous generation (Inspiron 5578), our opinion has changed quite a bit. Now, the device still feels like 2015 although, we are in 2017. There are essential features missing like USB-C and M.2 SSD slot while the design is rather clunky in our opinion – all-plastic shell, sharp edges making it a bit awkward to hold in tablet mode and thick screen bezels. And as for the display itself, it’s definitely better than the TN alternatives out there, yet the limited color space, low maximum brightness and aggressive PWM make up for a suboptimal experience. Colors won’t be as vibrant as you wish them to be, outdoor use will be problematic due to the low brightness and glossy surface and PWM is likely to cause fatigue after extended use. In any case, you’d be delighted with the fully utilized performance of Intel’s 8th Generation CPUs, comfortable keyboard and decent touchpad. Do consider, however, the Lenovo Yoga 720 (13-inch) if you can spend a little more cash for the refreshed variant. The Lenovo Yoga 520 (Flex 5) is also a nice alternative that falls in the same price category as well. And if you are not “married” to the 2-in-1 form factor, the ASUS VivoBook F510 has just been released with the latest 8th Generation Intel chips for just about the same price. Just discovered your site. 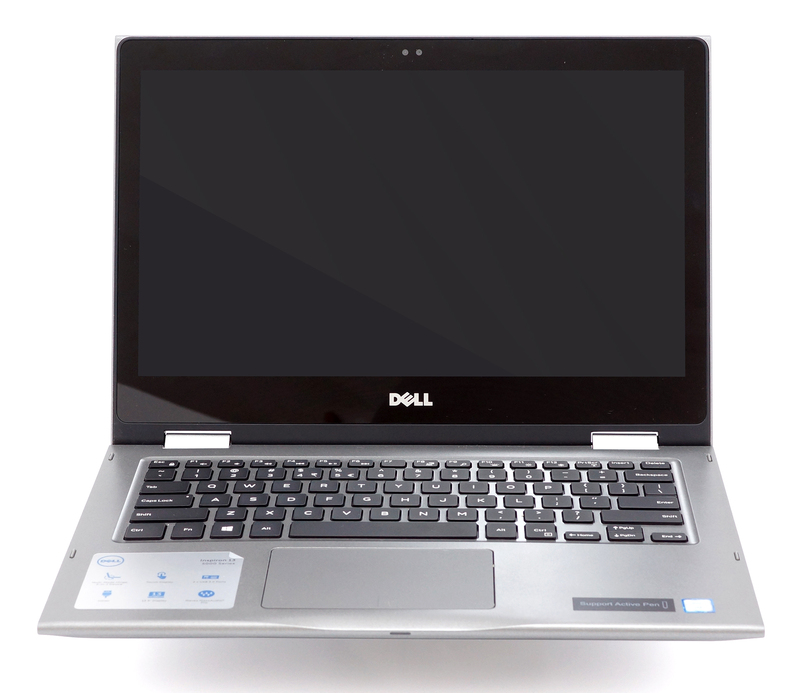 I’m reading the Dell Inspiron 5379 review. I’m impressed by the depth of analysis, the good writing, and the even tone. Enjoyed the discussion of color and PWM. 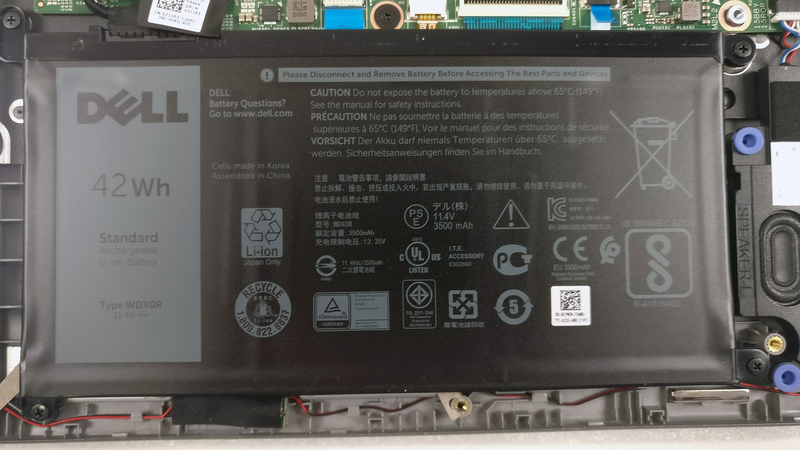 Can you confirm if this inspiron support the Dell active pen? I want to buy this laptop.